A Guide to the best things to do in Hallstatt on a budget, the beautiful town of Austria that offers wonderful things to see and do on a day trip or more. 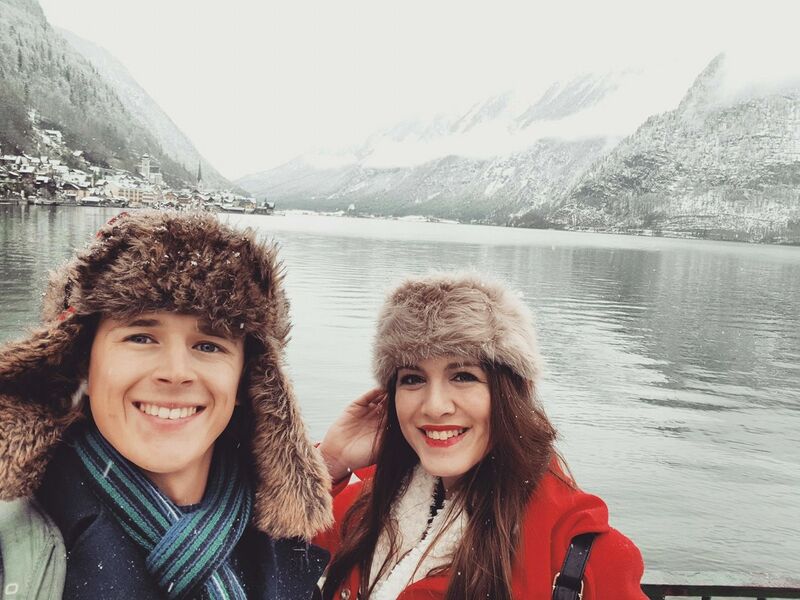 On our travels throughout Austria, we had the opportunity to visit the beautiful town of Hallstatt. 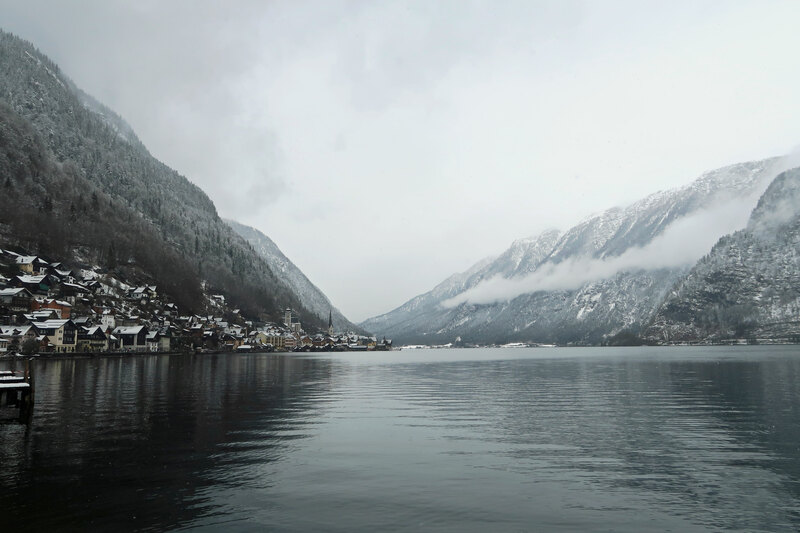 If you don’t know Hallstatt by name, I am pretty sure if you see the pictures, you’ll recognise the beauty. It’s basically a small, UNESCO heritage town located in Austria. Of course it’s standard tourist, but it’s so worth it! 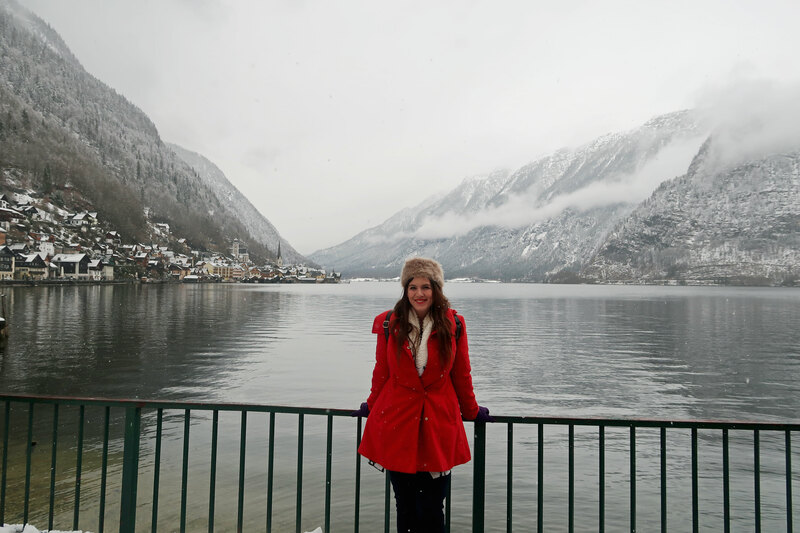 I thought I’d do a little post on the best things to do in Hallstatt. I mean it’s small and you can do everything in a day, but if you are there for a day, or even a couple of hours, then these are the best things to do in Hallstatt! We didn’t do this, simply because we didn't have enough time, AND it is a little out of our budget range. However, if I had the chance to stay within the little town itself, I 100% would. It’s very romantic, and cute, and if you stay in a hotel that allows you to wake up to a view of the beautiful lake, then it’s certainly a wonderful way to treat yourself. Since I did research hotels when I first thought of staying, I’ve rounded up my 3 favourites. W& S Executive Apartments: This is a chalet, and it’s luxury to the finest. It’s modern, beautiful and the bath is a Jacuzzi. Come on, what more do you want? The second and third properties offer the most breathtaking views of Hallstatt lake. If anyone has ever had the privilege to stay in any of these properties, then please comment and tell me what it was like! Of course you can check out the rest of booking.com for other sites in Hallstatt. When is the best time to visit Hallstatt? When you google pictures of Hallstatt, the pictures you will find are from the summer/spring season. So, if that’s the picture perfect scene you are hoping to find, then you will want to go then. The problem is, it’s much more touristy then, which means it’s harder to get pictures without someone photobombing them. However, if you go in winter, which we did (see below), you can see it’s just as beautiful but with a snowy, winter, christmasy charm. So, when is the best time to visit Hallstatt? Any time! It’s beautiful all year round. P.S. If you're looking to experience other parts of Europe at Christmas time, I recommend checking out some of these ideas. You can also rent a car from Salzburg, which is a good idea, because a lot of the great things to do in Hallstatt, are outside of Hallstatt. When we were there we seen lots of coaches, so I presume they leave from Salzburg, which is the most likely and convenient place for a day trip to Hallstatt. Rome to Rio is a useful tool in helping you get from A to B. You can also get the train from Salzburg, and it will take around two to three hours and it includes a switch in trains. Your best bet is to book on the official train website for Austria, which is this one. When the train gets to Hallstatt, it’s located on the other side of the river, so you get a little boat over to the actually UNESCO town of Hallstatt. It can cost as cheap as 14 euro and as much as 30 depending on day and time (for the train). So, now it's time to consider some of the best things to do in Hallstatt, based on things we have done, and things we wanted to do, but it was out of season. Little piece of random information, but you cannot use a drone at Hallstatt, which is fair enough, because it is peoples homes and they live there. You should however bring a well charged camera because you will want to take pictures. There are plenty of spots to buy cute souvenirs, stop for a coffee, eat a snack and view all the colourful buildings that surround you. 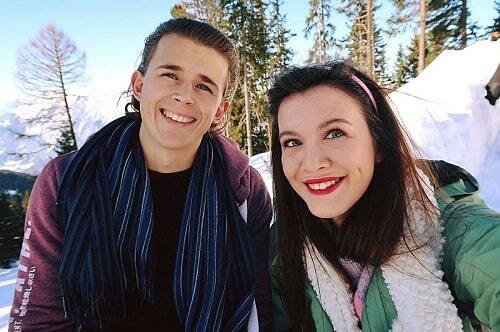 I can only describe everything as adorable. Hallstatt has lots of wonderful restaurants. If you go in winter, around half of these will be open, which is a good thing, because there is less tourists! I would expect to extend your budget for dinner here than compared to other areas. In general things are around 15-20 % higher, but there are many food places that offer you a stunning view across the lake, and I 100% think they are worth it. Brad and I stopped for a coffee and wine (:P) in restaurant within a hotel that looked over the water, and it was beautiful watching the snow fall down. The five fingers is a viewing platform that consists of five “fingers”. It isn’t for the faint hearted, but on a clear day, the views here are beyond breathtaking. 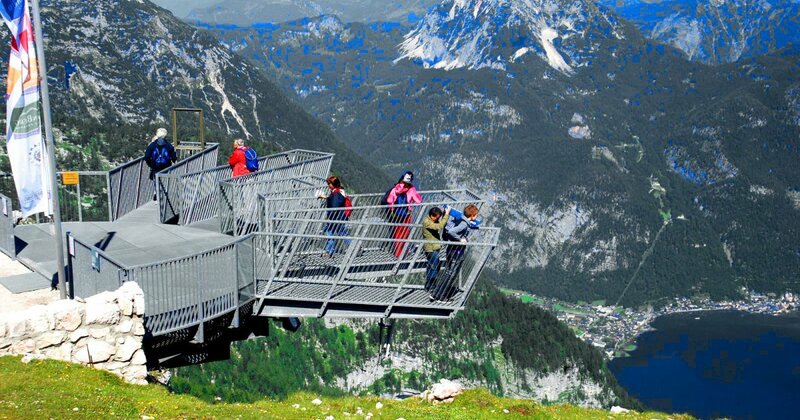 You get the cable car up, which also stops at other viewing platforms, and it suitable for skiing (in season). The walk to the 5 fingers is around 20 to 30 minutes and is suitable for pretty much everyone. You can spend a whole day up on the different levels of these mountains. However, I will suggest, that if it’s not a clear day, don’t bother, because you won’t get the views you are hoping for! It’s truly an exhilarating experience. You can reach the 5 fingers via car driving (it’s about 5 miles (11.5 km) outside Hallstatt). You can also reach via bus. You take Bus 543 from Hallstatt to Obertraun Dachsteinseilbahn. I've listed the costs below...direct from the website. I REALLY wanted to do this, but it was closed in winter :(. This is the same cable car service as above, and it’s the same way to get to it, via bus or car. There are a variety of different caves, but the Dachstein Ice cave looks the most awesome. You go in with a guide and it takes around 50 minutes for the tour. It’s all guided by a walkway, so it won’t be too “scary”, but remember it’s -1 down there, so stay warm. If you google the ice cave, or check out my pic below, which is stolen from Google, then you’ll see how awesome it looks. Bring a good camera that can shoot in low level lighting! Prices included your cable car up and down to stop one as that is where it is located, and your entrance to the cave. You can also get a combination ticket for both, or an all inclusive ticket that combines everything on the mountain, including the 5 fingers which more details can be found here. The all inclusive is better value if you want to visit everything! 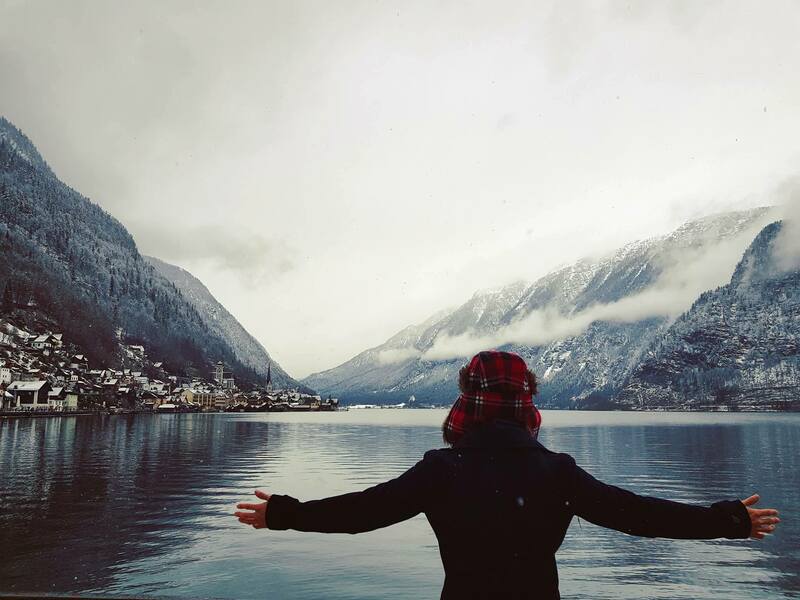 So there you have it, then are some of the best things do in Hallstatt. There are other things to do too, and I am sure you will discover them when you are there. You can visit museums, take a trip up the little hill train to get a panoramic view of the lake and much more. But, if you are there on a limited timescale, (and season dependent), then try and do the things we have listed. You will not be disappointed. 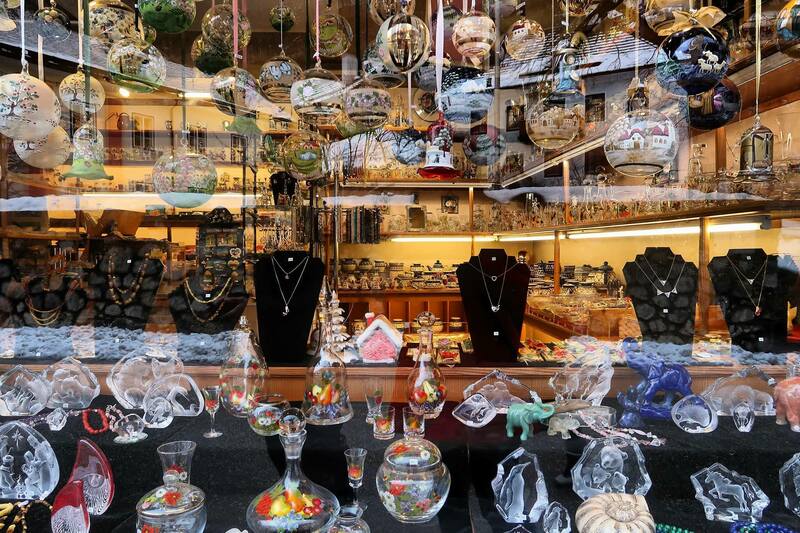 Don't forget to check out our other Austria guides to Innsbruck and Vienna. Need Great Value Tours In Hallstatt?